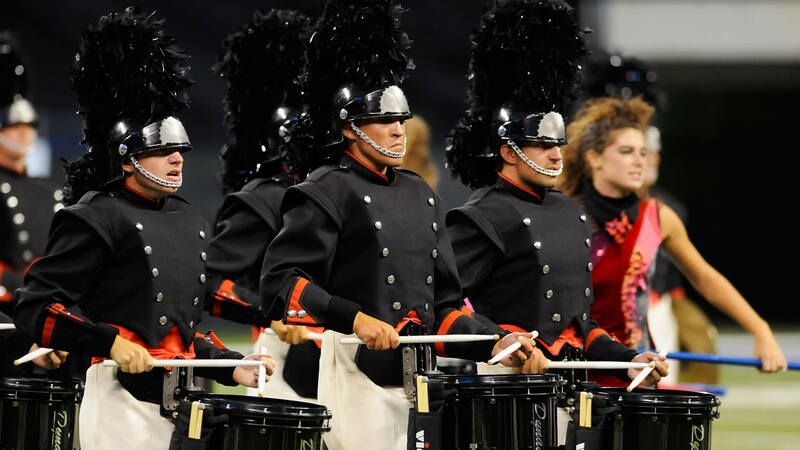 In 2011, the DCI Open Class World Championship returned to Ames Field in Michigan City, Indiana. With the Prelims competition rained out due to a strong rainstorm that lasted all day, all Open Class corps were scheduled into the Finals the next day. Blue Devils B managed to win the title while earning top honors in four captions including Visual and Musical Effect, Music Ensemble, and Percussion. 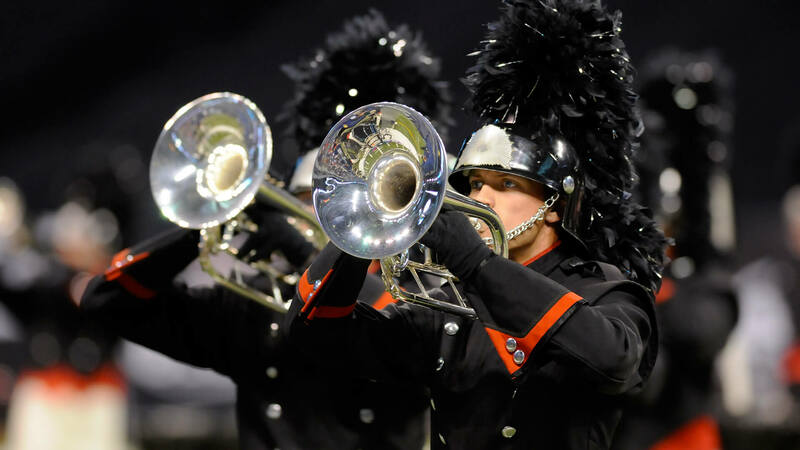 While the Oregon Crusaders won only two captions, Visual Performance and Brass, the Portland corps finished only three tenths of a point behind the Devils. Percussion honors went to the third-place Vanguard Cadets, and the fourth-place Spartans took the award for top Color Guard. Spartans’ show titled, “Midnight,” started and ended with music from brass arranger Key Poulan’s original suite, “Midnight in Transylvania.” Poulan is known for having written original music for quite a number of drum corps, including Santa Clara Vanguard, Magic of Orlando, Mandarins, Teal Sound, Vanguard Cadets, Raiders, and others. He’s also written numerous original shows for the Spartans since 2004. For the first movement, “Sunset,” the notes read, “The vampires are about to take over the night and play havoc with anyone who crosses their path.” The notes further state that the vampires look menacing because they’re about to feast on their prey. As such, Spartans’ color guard wore masks of black fabric with hanging red strips attached, really nailing the “menacing” look. During the pre-show segment of the production, the rest of the corps didn’t start entering the field until the vampires had arisen. As some encountered the vampires, they fell victim to the malevolent creatures and dropped to the field. The sounds of the chimes of a clock and a variety of eerie acoustic sounds added to the uneasy sense of heebie-jeebies. The entire corps gathered in a circular block near the back of the field, gently swaying to the midnight breeze. The middle of the show was “Bella’s Lullaby” from “Twilight,” the 2008 vampire romance film based on a novel by Stephenie Meyer. The book was Meyer’s first. Totally unknown at the time, 14 of the 15 publishers to whom she sent her manuscript rejected it. Fortunately for publisher Writers House, they took a chance on her. The four books she wrote in the “Twilight” series, plus the movie royalties, made author and publisher spectacularly wealthy. Carter Burwell, who was best known for his work on more than a dozen movies for the Coen brothers, was selected to write the film score for the first movie adaptation of Meyer’s “Twilight” series. The film explored the relationship of teenager Bella Swan and vampire Edward Cullen. A trumpet played the piano melody from the film, disturbing in how it purposely went out of key, reflecting the uncertainty of the love between the vampire and the woman he wanted—for her heart as well as her blood. Flags with various shades of blue reflected the precious light shimmering in the night. The chiming of the clock opened an extended percussion break that led into “Feeding,” based on the third movement of Poulan’s “Midnight in Transylvania.” At this point it was a challenge to know if everything would work out for the humans or if the vampires would reign supreme. The brass players stormed the front of the field as if stating the vampires would not win, but flags with red stripes running through the silks—as if streams of blood—begged to differ. The horns unwound like a slithering snake to the back right corner of the field as the color guard section collapsed back onto the field. The vampires had returned to their daytime resting spots. For this week only, you can save on the DVD set that contains this complete Spartans performance. 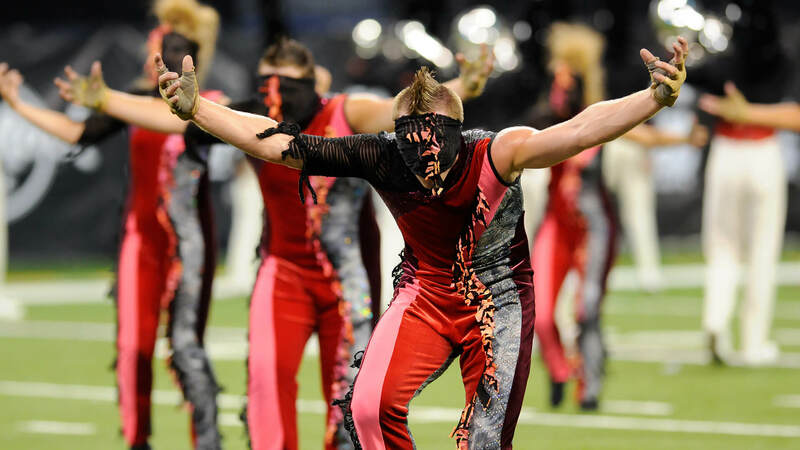 Buy the 2011 DCI World Championship Volume III DVD set. Discount DVD offer ends Monday, September 5, 2016.